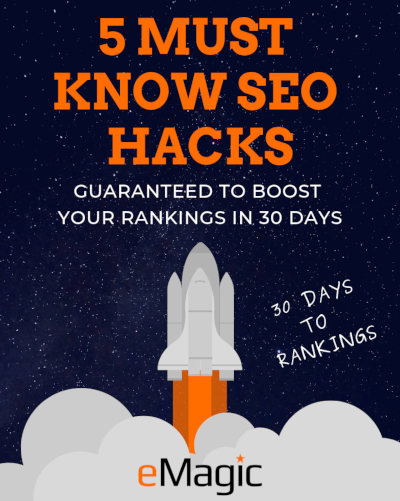 This FREE REPORT reveals the most powerful SEO strategies for quickly boosting your organic rankings and dominating the competition. If you do these 5 things your rankings will increase! eMagic has helped us drive more business by helping us rank noticeably better for key competitive search phrases…you won’t find better than the team at eMagic. Download your free report now before your competition does.